GG.Bet Ice Challenge kicked off in London yesterday. The heavily favorites Natus Vincere surprisingly lost at the beginning of the event, and their best player struggled on a few occasions. Although s1mple performed the best in the initial round, he had a couple of really bad moments. Maincast and sponsor GG.Bet has organized an invitational offline event at London from 5th to 7th of February. 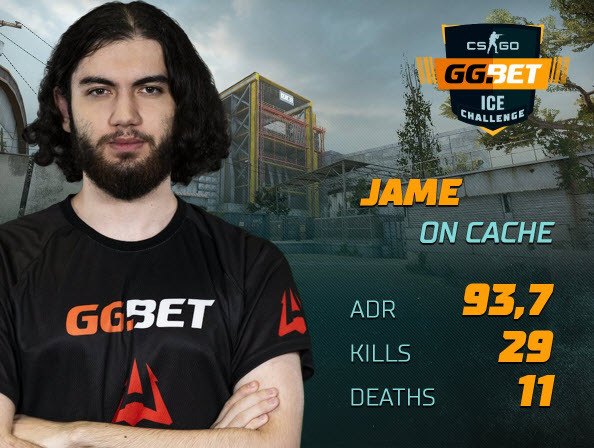 The prize pool of the tournament is $50,000, and the winner will receive $30,000. Organizers invited Natus Vincere, Heroic, North, and AVANGAR to the tournament. The event used the same format as ELEAGUE Invitational used. There is no Group Stage, and teams start in the Semi-finals. Winners of the matches are advancing further, and losers meat each other in Lower Bracket. The winner of Upper Bracket and Lower Bracket final will face each other in Grand Final. This is the first official tournament for NaVi this year. GG.Bet Ice Challenge has not been so good being the third best team in the world. They confronted Heroic in the opening match as absolute favorites. Nevertheless, they lost that match with aggregate score 2-1. NaVi won the first leg on Overpass pretty convincingly (16-8) with s1mple performing at very high level. On the following map (Nuke), Heroic crushed NaVi with ending result 16-4. Es3tag played an incredible game with a score of 1.99. Next leg was very interesting. At half-time, Heroic was far ahead of the Ukrainian team leading 13-2. 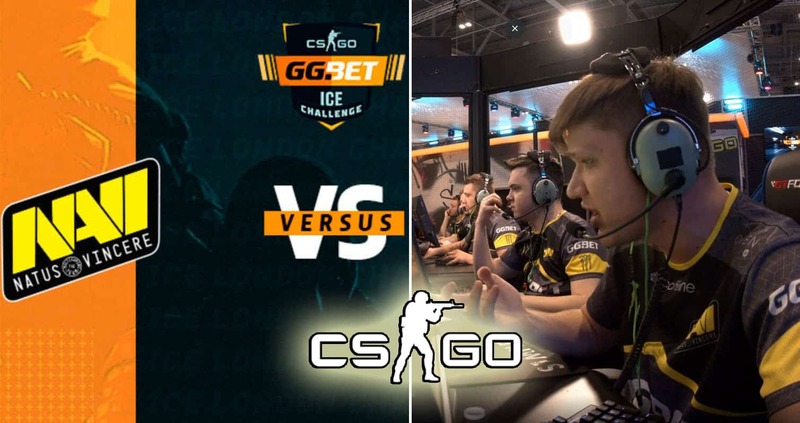 However, s1mple and company caught up with 11 consecutive rounds wins. But that was all we saw from NaVi, as Heroic won the three rounds they needed to advance to Upper bracket final of GG.Bet Ice Challenge. On the other side, North managed to prevail in the match against AVANGAR. The Danish team opened the match in a great manner on Mirage (16-12), but AVANGAR then struck back on Cache (16-13). On the final map (Inferno), North showed their class and outplayed the Kazakh team with final result 16-9. We will have the chance to watch duels between Heroic and North in Upper Bracket final, and NaVi and AVANGAR in Lower Bracket first round. This may be contradictory, considering s1mple was the best player on Inferno. However, s1mple himself had some bad moments and even got mad at his teammates in a fifth round. NaVi tried to take bombsite A from CTs, and they had a good chance. However, it seems like they didn’t have any tactic. Their efforts weren’t up to par. There was no coordination between NaVi’s members, and it all looked very confusing. As a result, they lost that round pretty easily. The best player of 2018 instantly started talking to his teammates with anger on his face. He obviously wasn’t happy with the way his teammates approached the A site. But if someone has the right to be mad at other players on the team, it’s definitely s1mple. Just two rounds later, s1mple himself missed the chance to help his team to win the round. Again, NaVi tried to occupy bombsite A, and s1mple was approaching from the apartment. He had two players on his gunpoint, and none of them was able to see s1mple. However, the young Ukrainian managed to eliminate just one CT, and that eventually cost his team the round. ﻿ Maybe we could say that NaVi just was unlucky yesterday, and it wasn’t their day.